Simply superb Rhythm & Blues Harp mover from Chicago ! Amazing stuff! He never scored a hit of his own, but guitarist John Brim did enjoy a little late-career notoriety when his self-penned 1953 Chess recording Ice Cream Man, unreleased in its time but belatedly issued on a late '60s LP, was revived by hard-rocking Van Halen on their 1978 debut album. 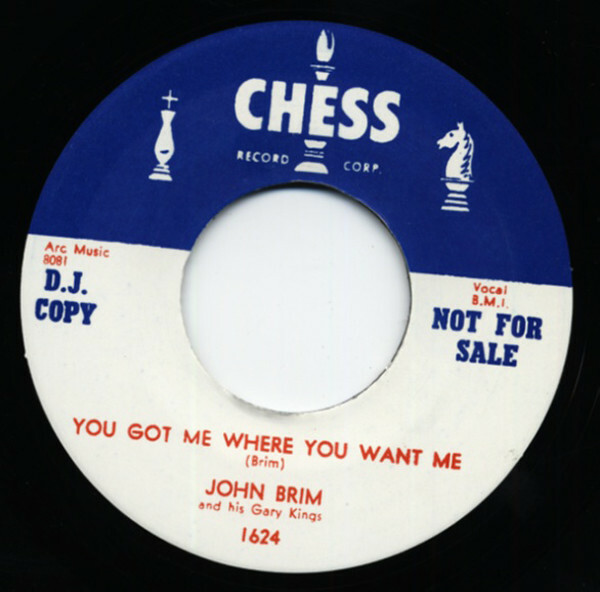 Brim had made classic Chicago blues sides during the 1950s for a variety of labels without ever breaking through. Nearly a half century later, he was still at it. Born in Hopkinsville, Kentucky on April 19, 1922, Brim was influenced by Tampa Red and Big Bill Broonzy. He migrated to Indianapolis in 1941 and Chicago in '45. 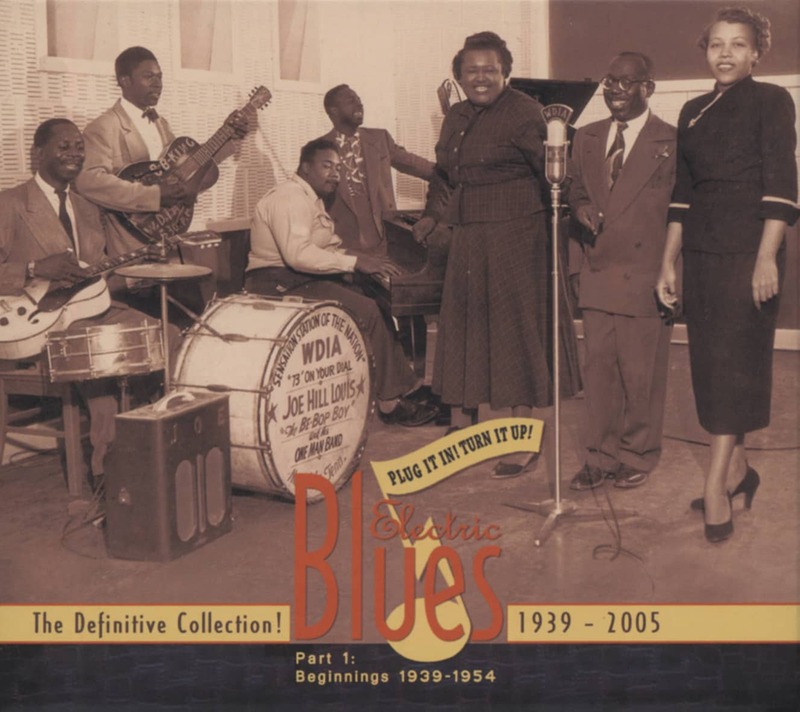 Brim met his wife-to-be Grace in 1947; skilled on drums and harmonica, she would be his musical partner as well, singing both sides of his '50 debut 78 for Detroit-based Fortune Records. John was featured vocally on his 1951 singles for Random and J.O.B. He became one of the kingpins of the nearby Gary, Indiana blues scene. "That's been my home off and on since '52," the late guitarist noted in the '90s. Brim hit his stride in 1953, when he signed with Checker and answered Big Mama Thornton's Hound Dog with his own snarling Rattlesnake, which barely saw light of day. "They held up on it because I think they had a lawsuit on it or something," said Brim, who was backed by Little Walter's band, temporarily dubbed the Gary Kings. On May 4, 1953, Walter, guitarist Eddie Taylor, and drummer Elga Edmonds entered the studio to cut the rollicking Ice Cream Man with Brim for Chess. "I wrote 'Ice Cream Man' in 1953. We had a cleaning shop, me and my wife, here in Gary. So it was kind of hot out there that day: 'You need something to keep you cool!' So I seen a guy pushing his wagon, selling them ice cream bars. I said, 'Let's try to get something on ice cream.' She said, 'All right!' So I got the guitar, and I started messin' with it, and asked her, what about this and what about that. 'Cause she writes it down. We run over it, we took what I write and try to straighten it up, you know. Leonard told me in the studio," said Brim, "'John, I never heard of pineapple ice cream!' I said, 'You never heard of pineapple?' He said, 'No, I never heard of it!' So he recorded it." Then he promptly buried it. "It stayed on the shelf for over 20 years," said Brim. The bluesman wasn't deterred. He made a sterling single for Parrot near the end of '53, the bitterly topical Tough Times, and two more gems for Chess in 1955-56 that rounded out his early discography. He wasn't through by a long shot; Brim was active musically during the '90s (his 1994 debut CD for Tone Cool was titled 'Ice Cream Man') and into the new millennium before passing away October 1, 2003. Customer evaluation for "You Got Me Where You Want Me - I Would Hate ..."